This is old. The Connecticut turnpike went north at New London. Now it follows the shore, and the road north is I-395. Yeah. 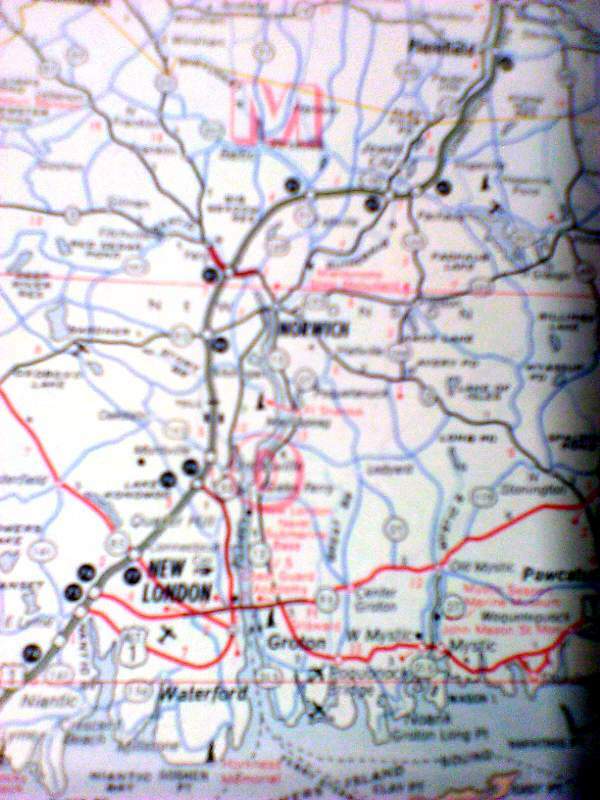 It’s pre-1866 going by the Mobil logo on the cover of the map.